Something Blue Wedding Inspiration. At the heart of the Deepwood Museum is a passion for all things classic and Victorian in nature. This styled shoot boasts cool blues and luminous whites while keeping all the details close to the vest with an intimate garden location. The lush greenery is just one more statement color to add to the beauty of this Salem, Oregon, keepsake. The perfect invitation suite for this affair includes a twist on an old classic. A beautiful scalloped edge, dripping in a spectrum of blue, reveals a laser-cut design that is modern, yet delicate. Swirling script and generous floral details make this a perfect match for an event at the Deepwood Museum. Two bridal looks each echo the location's ambiance. The first is a gorgeous, and oh-so-fitting, wide-neck gown full of lace and charm. The tiered skirt is paired with a bold set of dark blue heels; however, the unexpected touch is the open back. The second, a more modern and glamorous look, is a stunning ball gown with a dramatic tulle skirt. The bodice features elaborate appliques and details along with a unique twist to the illusion neckline. 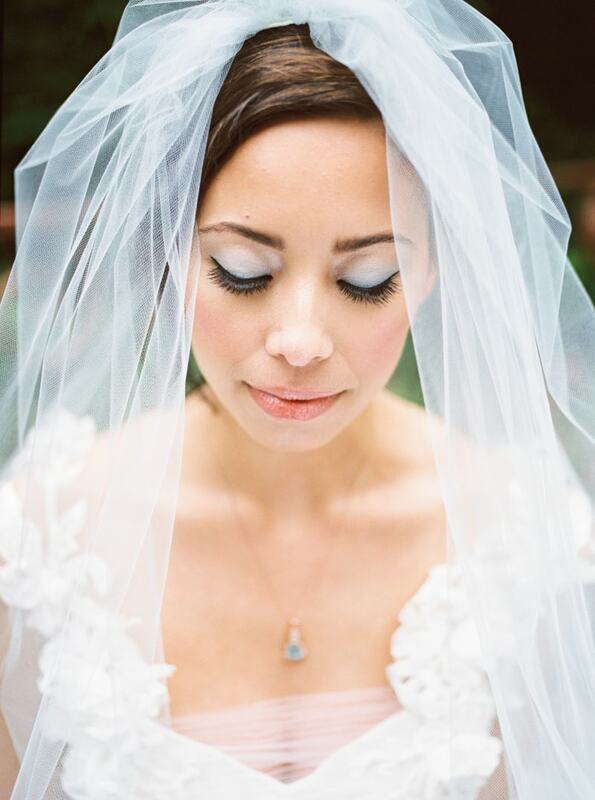 This look’s main attraction is the voluminous light blue veil. The garden is the perfect setting for an intimate gathering. A natural wooden table presents a tablescape for two. 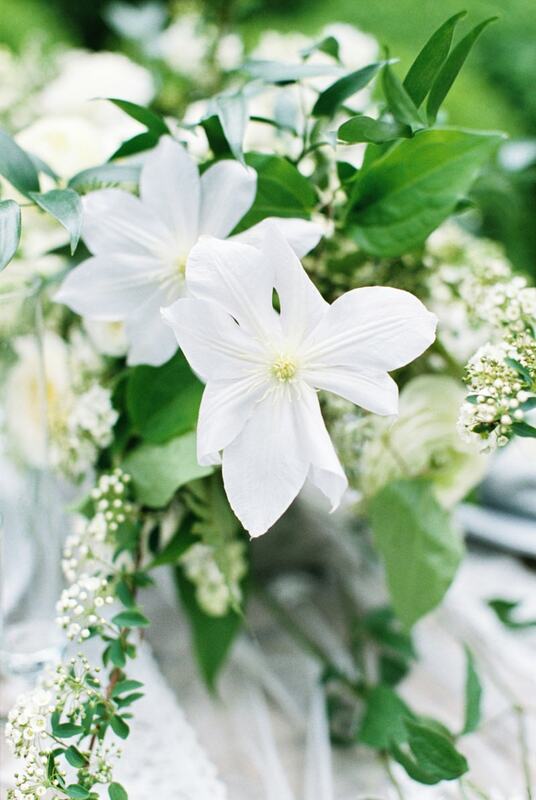 And while white isn’t the color normally pegged to offer a ‘pop,’ a stunning all-white centerpiece overflowing with blooms such as garden roses and Queen Anne’s lace is spectacular. 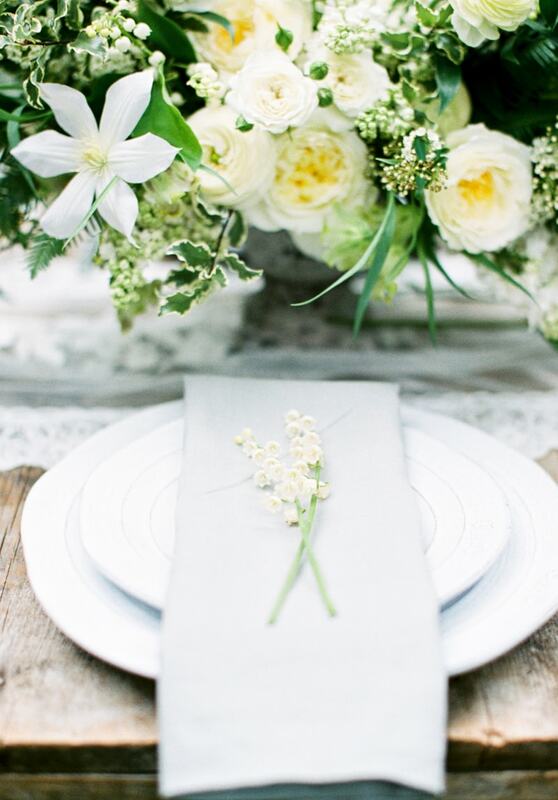 A lace table runner and simple place settings complete the darling presentation. To incorporate the statement hues in other ways, stylists wrapped the bridal bouquets in navy blue ribbons, displayed a petite cake with an ombre design, and housed a gorgeous blue bauble in, what else, a blue velvet box. An event at Deepwood Museum can be traditional and current thanks to ingenious attention to detail and design. 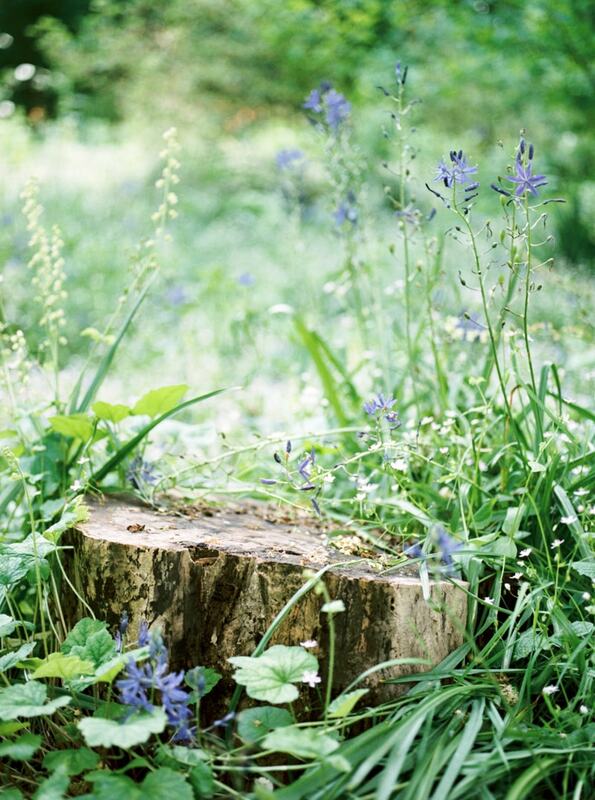 A palette of blue transforms a secret garden into a timeless dream of a location.